Need Garden Landscaping Services in the Darwin area? 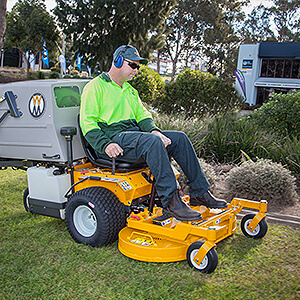 Jim's Mowing offers Landscaping and Design services in Darwin, and would be delighted to help. Just call Jim's Landscaping team in Darwin on 1300 191 565 or you can book a landscaping job online for a date that suits, or schedule a free, no obligation quote. Jim's Gardening Darwin offer fully trained staff, who can advise you on all aspects of garden landscaping, be that from initial landscape design ideas through to the creation of selected hard and soft landscaping elements, plant selection, planting, turfing, soil preparation, irrigation and more. Call Jim's Landscaping Services in Darwin on 1300 191 565 now or Book a Jim's Landscaping job online, today.